When I was a child, I was fortunate enough to travel with my family each October to Mazatlan Mexico. My mom, dad and both my sisters would take a week off of work or school and fly to this beautiful, warm, beach community to spend a week exploring, swimming in the ocean and, of course, working on our tans. (We were in middle school and high school during these years so an extra week of vacation was so cool!.). We also spent a lot of time eating fresh fish, vegetables and fruit. One of the dishes we discovered was Ceviche. Every night prior to our main course, a huge bowl of this fresh from the ocean fish dish would arrive accompanied by homemade salsa and a basket of hot-from-the-fryer corn tortilla chips. We were hooked. 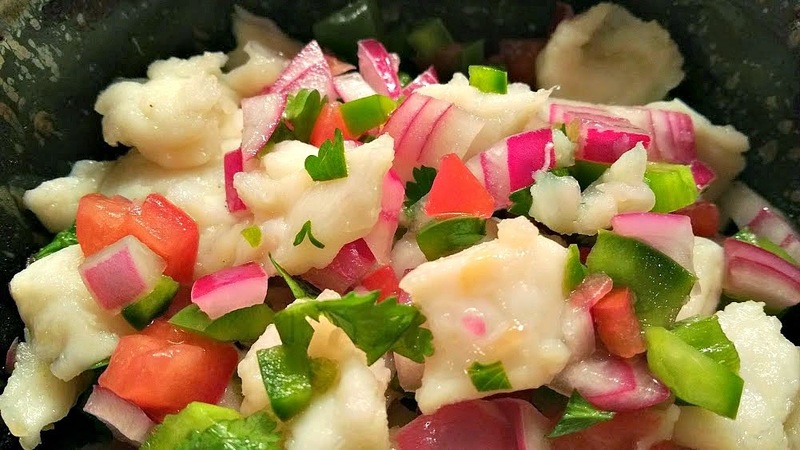 Ceviche is a salsa type dish made with freshly caught white fish, onion, peppers, tomatoes and cilantro "cooked" in a vinaigrette made with lime juice, vinegar and a touch of olive oil. The lime juice and vinegar pickle the fish creating a taste and texture similar to poaching, but with amazing flavor. Nothing like raw fish or sushi. Delicious. 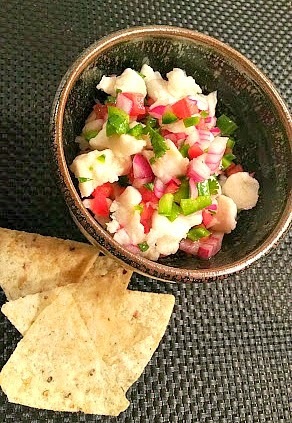 I decided my ceviche recipe would be a perfect dish for Easter this year. 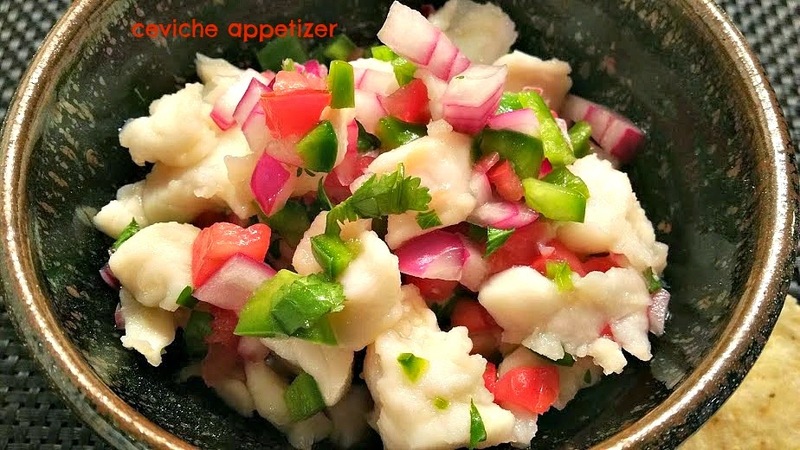 Spring is here, fresh produce is starting to appear at the market and the fresh, spicy, flavorful fish appetizer will be a perfect side dish with roast garlic chicken, asparagus, salad, warm potato salad and a Meyer lemon tart. How good does that sound? In a medium sized bowl, combine lime juice, vinegar and olive oil. Stir in fish, onion, chile, jalapeno and tomato. Add a pinch each salt and pepper. Cover with plastic wrap and refrigerate a minimum of 6 hours or overnight. Approximately 1 hour prior to serving, stir in the cilantro. Taste and adjust seasonings if desired. Serve chilled with warm corn tortilla chips. Springtime means the start of sensational side dishes made from fresh, just-picked produce and this week at Food Network we are celebrating Easter Side Dishes. Do you have a favorite Easter recipe? Share in the comments section and/or link to your blog if you have one. And be sure to check out the delicious sounding recipes from my blogger friends and Food Network.